Holidays present many options for travelers. There are different types of vacation styles to suit everyone who wishes to take time away for some R & R. Among these holiday types, a yacht charter Turkey vacation offers travelers an array in choice for both yachts as well as destinations. 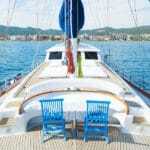 The choice in yachts include motor yacht charters, gulet charters and bareboat charters. Each are suitable for the style travelers want to spend time. 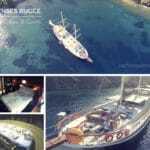 Group travelers tend to charter yachts in Turkey we call gulets. Gulets have become a unique choice and popular with holidaymakers due to its appeal in design, decor and services. The choice in gulets range from size, quality, crew and facilities. 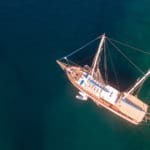 Starting from the economic gulets to the luxury gulet charters, and raising the level of size and quality to deluxe, ultra deluxe and VIP gulet charters. 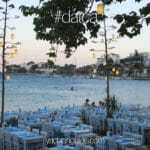 Destinations are endless in the Mediterranean and Aegean regions of Turkey. One can start in Bodrum and go all the way to Istanbul, Athens, Cyprus, Crete to name a few – on a custom designed itinerary. While the most preferred itineraries embark from well known seaside cities such as Bodrum, Marmaris, Fethiye and Gocek. All offer practically an endless selection of route combinations for choice.